As a writer, I am used to using words to tell my stories, as a photographer I am learning the hard and difficult lesson that sometimes images tell a story much better than my words. Hard for me to get that. 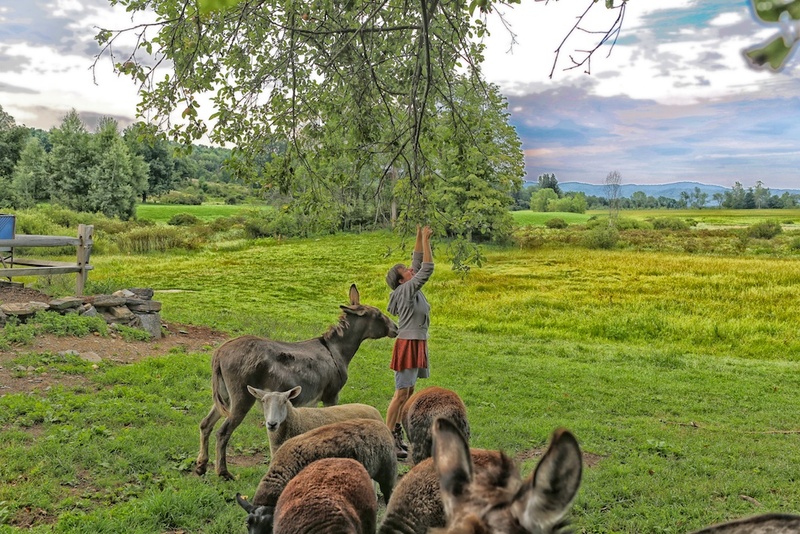 This week, a new ritual has developed under the apple tree in the rear pasture, Simon and Maria pick apples for Simon to eat. Simon loves this ritual, it is the kind of work donkeys love to do. Maria does it intuitively and this photo says to much, it’s all about love. I am grateful to my wonderful Canon camera and my developing eye to let the photo speak for itself.